Southern Living magazine has called Staunton, VA “the perfect place to base any exploration of the valley.” Staunton is centrally located amid the beauty of the Shenandoah Valley of Virginia. The well known historic architecture of Staunton is compactly collected in the downtown area, making Staunton a town best explored by foot. 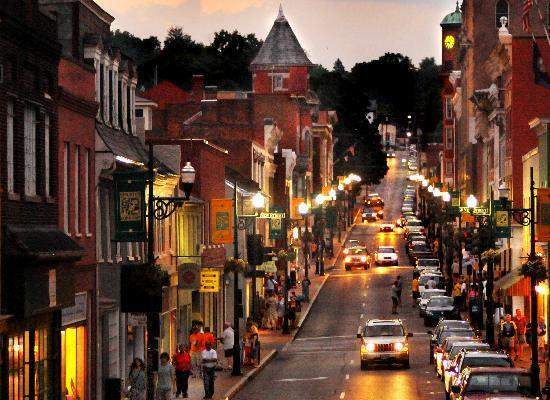 Downtown Staunton features over one hundred unique shops, art galleries and restaurants to discover. Staunton is filled throughout with beautifully restored buildings, including the newly restored Stonewall Jackson Hotel. Blackfriars Playhouse is the only faithful replica in the world of Shakespeare’s legendary indoor theatre, and has gained renown with such celebrities as Dame Judy Dench. The Frontier Culture Museum is a living history museum that illustrates the daily lives of early Staunton Events near Big Sky Apartmentssettlers in the Shenandoah Valley. You can also find out more about the life and legacy of Woodrow Wilson at his museum birthplace and research library, the only presidential library in Virginia. A Staunton apartment home is a great investment in your lifestyle, putting you close to all the culture and character of one of America’s premiere residential towns. At Big Sky Apartments, you can make your Staunton apartment the center of a wonderful new lifestyle – “As You Like It”!